Hofstra Law is offering the E. David Woycik, Jr. Intensive Trial Techniques Program during the 2019 Winter Intersession on Jan. 2-7, 8 a.m.-6 p.m. Registration is open now. The program is open to second- and third-year students who have completed the basic course in Evidence. Visiting students from other law schools who are interested in taking the program should contact the Hofstra Law Office of Enrollment Management at lawadmissions@hofstra.edu or 516-463-5916 for information about how to apply. The program, based upon the proven intensive methodology initially developed by the National Institute for Trial Advocacy (NITA) for practicing lawyers, offers students a unique opportunity to develop core litigation skills through a short-term, highly focused, hands-on course. This innovative “immersion” program uses a concentrated curriculum and extremely low student/faculty ratio — typically one faculty member for every five students — to provide basic training in all of the fundamental lawyering skills involved in civil and criminal trials. 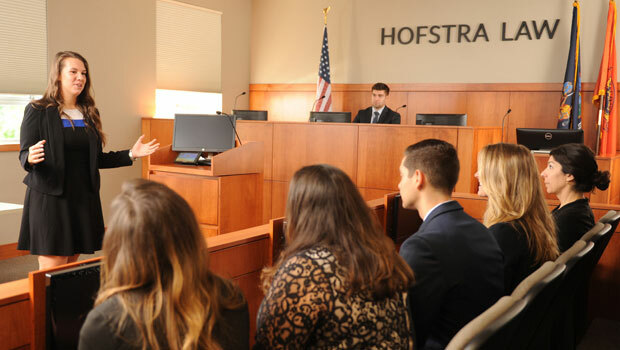 Students learn the essential aspects of courtroom litigation, including opening statements; summation; direct and cross examination; documentary evidence and expert testimony. The critical skills of settlement negotiation are introduced, as is the essential pretrial discovery technique of the deposition. 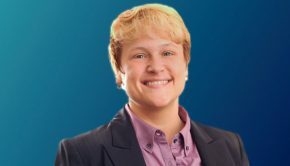 Over the course of the six-day program, students conduct both a bench trial and a jury trial, and their performances are individually reviewed by experienced attorney/teachers and by professional actors.